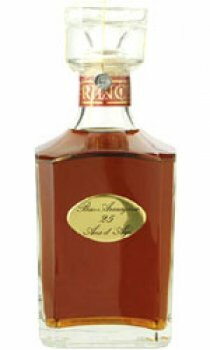 Blended from brandies with at least 25 years in oak, this armagnac combines creamy richness with a natural robust rusticity. It has a powerful aroma of leather, raisins and other rich dried fruits. The palate is full with rich spicy notes and the finish is velvety smooth with hints of nuts and figs. Aged in oak barrels for decades, these Armagnacs are at their peak, lovingly stored in demi johns to preserve their unique character and the warmth of their aromas.